Spring Break - No School March 23 - 31, 2019. Spring Break - No School March 23 - 31, 2019. Take time to enjoy the beautiful weather. Thanks for a fantastic Book Fair! Thanks for a fantastic Book Fair. Watch for the Buy One, Get One Free Book Fair coming in May. Happy Chinese New Year! Thanks Miss Tina for teaching us about Chinese New Year. Starting Thursday, December 20, 2018 and running until midnight Monday, January 14, 2019 parents will have the opportunity to access their teachers’ calendars and schedule a convenient conference time. Remember, the appointments are available on a first-come, first-serve basis. To make an appointment go to the school websitehttp://mountainview.slcschools.org and click on the link there. A partir del jueves 20 de diciembre de 2018 y hasta la medianoche del lunes, 14 de enero de 2019, los padres tendrán la oportunidad de acceder a los calendarios de sus maestros y programar un horario conveniente para la conferencia. Recuerde, las citas están disponibles por orden de llegada. Para hacer una cita, vaya a la página web de la escuelahttp://mountainview.slcschools.org y haga clic en el enlace. Early Open Enrollment: December 1, 2018 - February 15, 2019. Click on the link below for information and how to apply. Students may apply for enrollment in schools designated as “Open” to transfer. Selected schools, programs and grades may be at capacity for the upcoming 2019-2020 school year and not available as a choice for out-of-resident students. A list of schools accepting open enrollment applications for the coming school year may be obtained after November 30, 2018 from https://www.slcschools.org/departments/educational-equity-and-student-support/student-services/school-choice/school-openclosed-status/ or by calling Student Services at (801)578-8206. Students who wish to attend a school outside their neighborhood boundaries and are currently enrolled in 6th grade must apply for transfer to the middle school of their choice and 8th grade students must make application for their high school of choice during the Early Open Enrollment window. If the transfer of a currently enrolled student is being rejected for the coming year, parents will be notified by March 15, 2019. El Próximo año escolar, los estudiantes que estén interesados en inscribirse en una escuela de Salt Lake City, que vivan fuera de los límites del distrito o de vecindario de la escuela, podrán presentar una solicitud de Traslado de Matriculación durante el período de Inscripción Temprana desde el 1 de Diciembre hasta el 15 de Febrero del 2019. Las solicitudes están disponibles en línea en slcschools.org; departamentos, Opcion de escuela. Los estudiantes podrán solicitar su petición en las escuelas designadas con traslado “abierto”. Posiblemente algunas de estas escuelas no tengan cupo libre para las solicitudes de traslado del año escolar 2019-2020 y no haya lugares disponibles. Puede obtener una lista de escuelas, calificaciones y programas disponibles u otra información relacionada con la política de inscripción abierta después del 30 de noviembre de 2018 en https://www.slcschools.org/departments/educational-equity-and-student-support/student-services/school-choice/school-openclosed-status/ o llamando a Servicios al Estudiante al (801) 578-8206. Los estudiantes inscritos en Sexto (6to.) grado bajo un Permiso Especial en una escuela por traslado deberán presentar de nuevo una solicitud de traslado durante la Inscripción Abierta. Especialmente para aquellos estudiantes que pasarán a su educación media. Los estudiantes de 8vo grado bajo un Permiso Especial en una escuela por traslado deberán presentar de nuevo una solicitud de traslado en la escuela secundaria superior de su elección durante el Período de Inscripción Abierta. Los estudiantes no residentes del vecindario y que estén inscritos Este Año en su escuela con un permiso especial podrán asistir allí mismo durante los próximos años escolares siempre y cuando observen el reglamento escolar. Reportes de mala conducta del estudiantes que no observa los Reglamentos del distrito/escuela; e incluso la suspensión/expulsión​ del plantel. Si el permiso especial del estudiante actualmente inscrito debe ser rechazado para el siguiente año escolar, los padres serán notificados por escrito para el 15 de Marzo del 2019. Early Open Enrollment Applications submitted online. School administrators have access to submitted applications. Principals notify parents of currently enrolled students who will not be permitted continued enrollment for the coming year. Deadline for principals to notify parents in writing of Early Open Enrollment application status. Deadline for parents to accept or decline Early Open Enrollment opportunities. Schools may NOT develop "waiting lists" from Early Open Enrollment applications. Applications must be accepted or rejected by the March 31 deadline. Students whose applications are rejected during the Early Open Enrollment may reapply for a Late Enrollment after April 1 for the coming year. You may refer to the Administrative Procedures for- Policy S-1Link to APs for S-1 for more information. Join us to learn about what’s happening in the schools and build relationships within the community. Be a part of your child’s education. Just a reminder - The Halloween sCARE Fair is Friday! On October 26th the CLC will be hosting a sCARE Fair that will include flu vaccinations. The vaccinations are being provided by Walgreen’s are free for anyone without insurance while supplies last. If you have insurance please bring your card! This helps us be able to maximize the number of vouchers we have for those without insurance. The main event will be between 3:00-6:00 PM and will feature a number of community partners who provide health care supports and/or services. We will have activities for the kids and a fun photo booth. A representative will be there to help set up your PowerSchool and Messenger accounts so you can access school information on your phone or other device. Space is limited so please register in your front office or using the social media link. 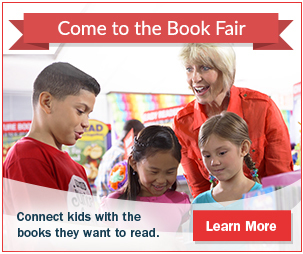 The Book Fair is coming to Mountain View Elementary September 24 – 27, 2018. You can buy books at school or shop a bigger selection online. Click the Learn More link to begin shopping September 19 – October 2, 2018. We are also looking for volunteers to help setup, decorate, clean-up and work during the fair. You can sign up online (Learn More link) or sign up in the Library! What a great way to help support Mountain View Elementary and get students excited about reading. Thanks for a great Back to School Carnival! A special thank you to the following organizations. Your help and support make this carnival possible! Salt Lake County Lead Safe Homes and Utah Physicians for a Healthy Environment, Paul Mitchell School, Google Fiber, Utah Food Bank, Glendale-Mountain View PTO, Hartland Community 4 Youth and Families, Utah Clean Energy Neighborhood Light Swap, Glendale Public Library, University of Utah Office of Engagement, Community Health Centers Neighborhood Clinic, Association for Utah Community Health, Running Forward, Communidades Unidas, Utah Community Action, Bad Dog Art, Horizonte Instruction and Training Center, Utah Higher Education Assistance Authority, English Skills Learning Center/Horizonte instruction and Training Center- ESL table, Centro de la Familia, Voices for Utah Children, Select Health, Department of Workforce Services and many community volunteers. What a great booth at the Carnival! We are career and college ready at Mt. View. We are so excited for the new school year to begin. Breakfast will be served to students starting at 8:00. The school tardy bell rings at 8:10. Remember that the school day ends at 2:45 so please make arrangements before coming to school. See you on Monday! Back to School Registration August 8 – 9.